The main building of University of Seville is known as the “Old Tobacco Factory”, because of the building’s original use. 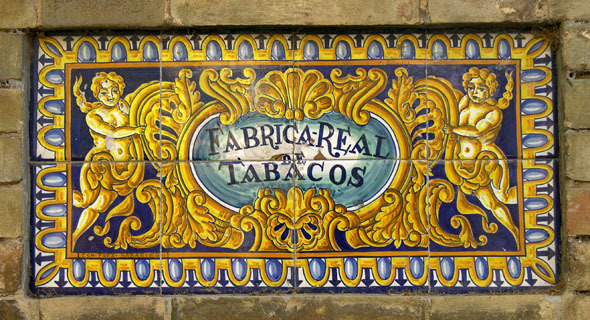 Built in the 18th century, Seville’s tobacco factory was the largest industrial building in the world at that time and it remained a tobacco factory until the 1950s. This beautiful building is also the setting for the very well-known opera by Bizet, Carmen. Carmen was a fictional worker in the tobacco factory, the original story being a novella by Prosper Mérimée Prosper Mérimée. This building houses two of the university’s faculties: the School of Literature & Philology and the School of Geography & History.